CD and DVD dimensions are in inches and millimeters for precision’s sake. 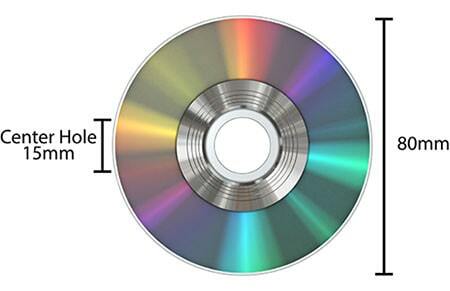 The above are for standard CD dimensions only but most discs should adhere to these parameters. 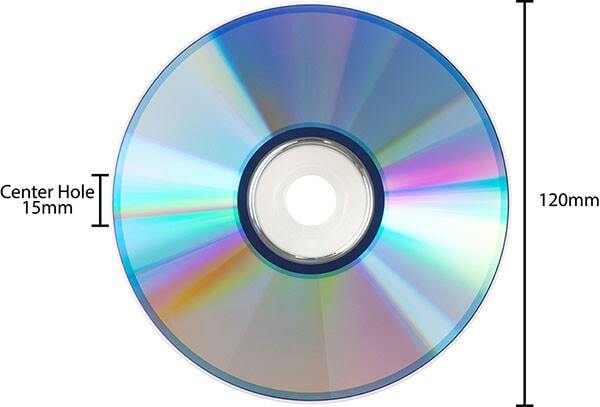 DVD and Blu-ray discs have the same measurements as CDs. Discs are standardized and should not vary significantly between brands. Mini CDs are sometimes referred to as “Maxi CDs” in some countries. They hold up to 210MB of storage space and dimensions should not vary significantly between brands. Mini DVDs should have the same dimensions. Mini CD dimensions are in inches and millimeters for precision’s sake.